Combo Quest 2 (Free on iOS) – From Tapinator, this sequel to the original Combo Quest is a reflex-based RPG, challenging players to tap at the right times to attack their opponents and defend against enemy attacks. As players complete levels, they may unlock new heroes and equipment for their characters. There are 20 different heroes to collect in all, each with different abilities and stats. Users can also collect 20 different companion characters, which can help them during levels. 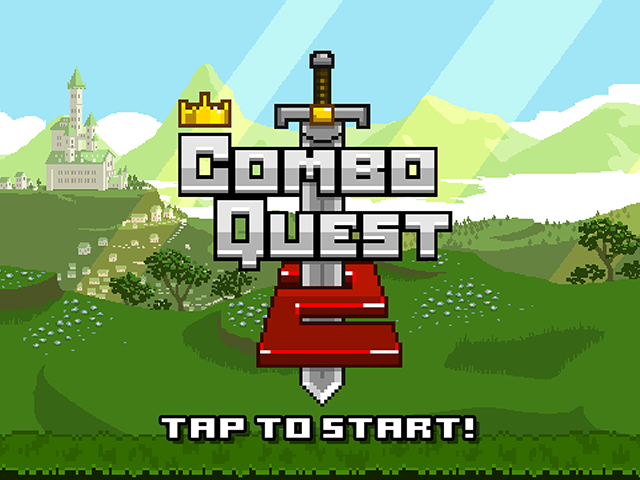 Combo Quest 2 features 90 levels to complete, including boss fights. Groove Galaxy (Free on iOS) – From Animoca Brands, this sequel to Groove Planet is a rhythm-based clicker or idle game, which challenges players to tap in beat to the music to collect music notes, the game’s currency. The game asks players to travel between planets, colonizing each planet as they go. To colonize a planet, users must spend music notes to purchase and upgrade a series of buildings until they’ve reached 100 percent colonization. Buildings will automatically generate music notes over time, even when players aren’t tapping or playing the game. Upgrades and music notes do not carry across from one planet to the next, but users can continue to upgrade and earn music notes on any planet, even after it’s been successfully colonized. Galaxy of Trian ($4.99 on iOS) – This digital board game from Grey Wizard Innovative is based on the sci-fi board game of the same name. The game sees users fight over territory and technology left behind by a race called the Trian. In each game, users can create a different game board by placing tiles in different orientations. Users can claim nebulas and planets along the way, and they can build stations and collect minerals as they claim land. As users upgrade their stations and complete other tasks, they’ll collect points which go toward winning the game. Galaxy of Trian features a single-player tutorial mode, as well as asynchronous online multiplayer. Users can also play games against the AI. LEGO Star Wars: The Force Awakens (Free to start on iOS) – From Warner Bros. Interactive Entertainment, TT Games, The LEGO Group and Lucasfilm, LEGO Star Wars: The Force Awakens allows players to complete stages based on the film Star Wars: The Force Awakens. The first chapter of the game is free to play on iOS, and players can purchase chapters 2-9 in a bundle for $6.99. Users also have the option to purchase these chapters, as well as all future content that will come to the game, in an All Content Season Pass for $9.99.